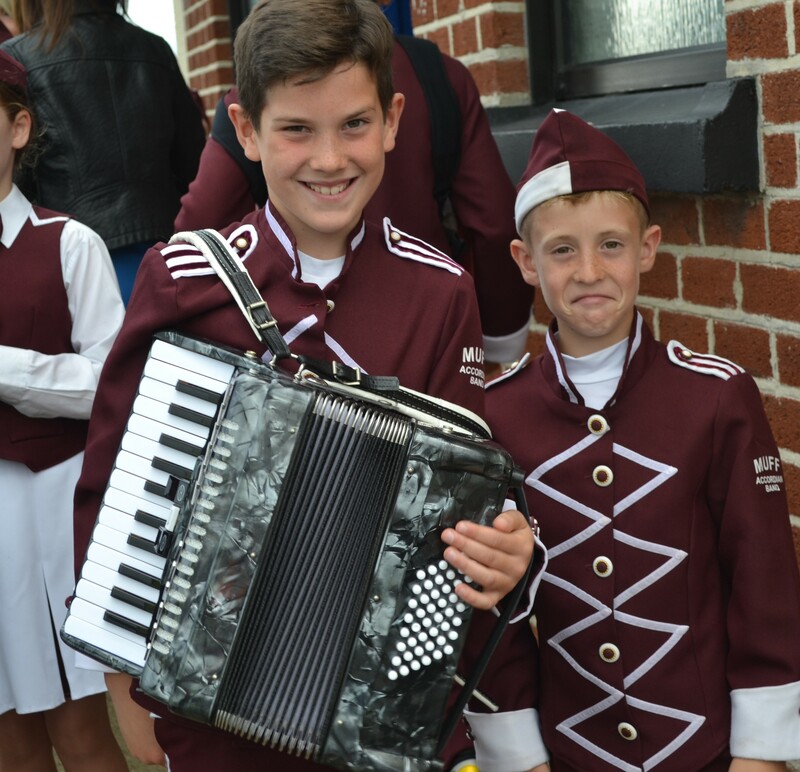 It’s not every 12-year-old that is the morning alarm clock in their family home – but one 12-year-old Donegal boy who just can’t stop winning major musical competitions for his accordian skills, has to practice. But that is just what young Cormac McColgan is in his home in Iskaheen, Muff, Co. Donegal. An avid piano accordion player, this young man needs no alarm in the morning, nor do his parents and siblings. Such is Cormac’s love of music, he’s the first one up and the piano accordion wakes the McColgan household daily around 8 am. 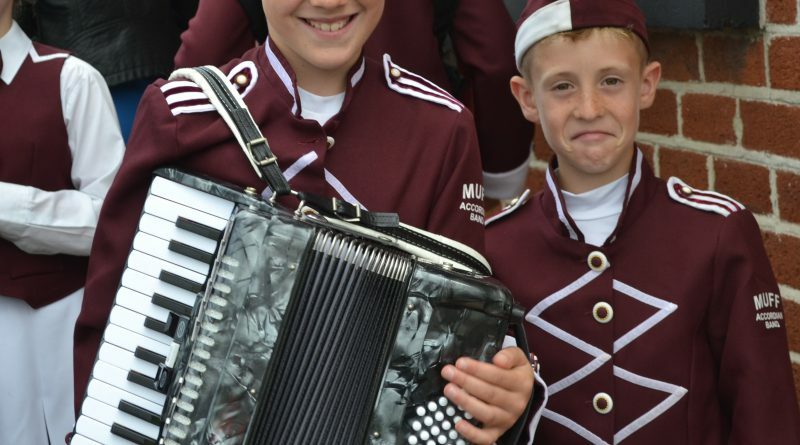 Cormac was just 7 when he joined the local Muff Accordion Band. From here he realised that he could pick up a tune very quickly and soon he knew every melody the band played. His parents realised this boy needed more, and so they asked Buncrana, Co Donegal based music teacher, Teresa McClure to take him on board. 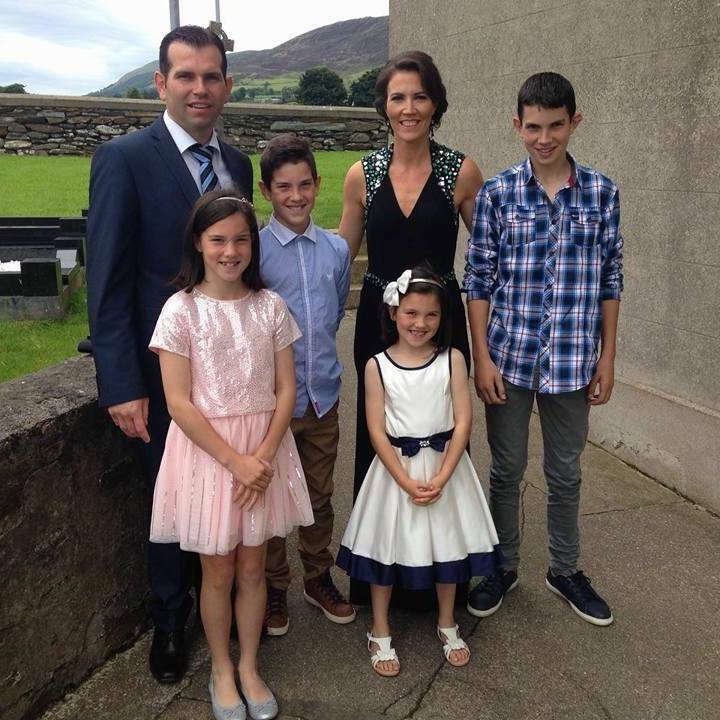 At the time in January 2015, Ms McClure didn’t have room to give Cormac one-to-one tuition and so he joined one of her group classes. Cormac McColgan is three times a winner and all after a broken thumb! 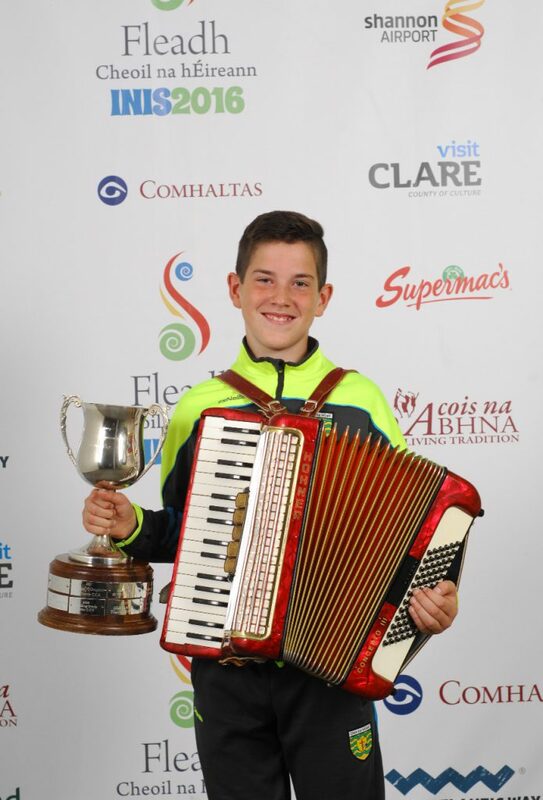 In May 2015 Cormac entered and won the County Fleadh U12 piano accordion competition. He then progressed to the Ulster final and won. 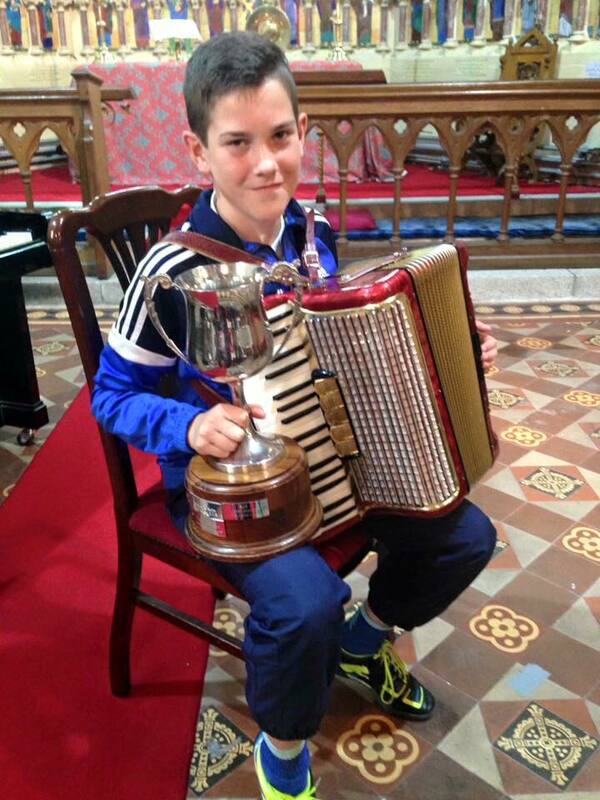 This qualified him to play in the U12 All Ireland Fleadh in Sligo in 2015. Cormac was last to play on that day, and failed to be placed. “This did however give him the confidence and determination to continue playing and improve,” his dad said. “Cormac than began playing at some local sessions and a very good family friend and musician, Gerard Barron began playing with Cormac. Cormac went on to win the County Fleadh and following this, the Ulster Fleadh again. And so his journey took him to Ennis just last week for Fleadh Cheoil 2016. Practice clearly does make perfect for Cormac! Cormac still plays with the Muff Accordion Band. He can be seen marching the streets at local festivals alongside his band mates throughout the year. He continues to practice with his devoted music teacher, Teresa McClure. Dermot added that Muff Accordion Band, Teresa McClure and Gerard Barron are huge influences in his young son’s musical life. However it’s clear that Cormac gets his love of music from his father. Dermot played accordion until he was 16. He then took a break from it for around 20 years. But he returned the year Cormac started playing. Now father and son are seen regularly playing together at family and local charity events. Cormac even got his first solo paid slot in a local restaurant, The Point Inn, over Christmas 2015. The owner heard him rehearsing one evening and immediately offered him a slot. When Cormac arrived home from Ennis at the weekend, he immediately began to play a tune he had heard during the Fleadh. He had perfected the melody before bed. Cormac has also written his own song, according to his dad. 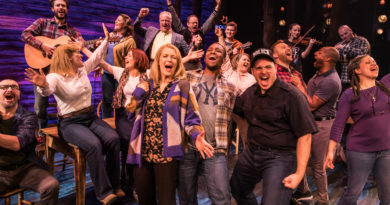 “He composed his own tune, and it’s now titled, Iskaheen Jig,” Dermot said. We’ll be seeing a lot more of this young man over the coming years.